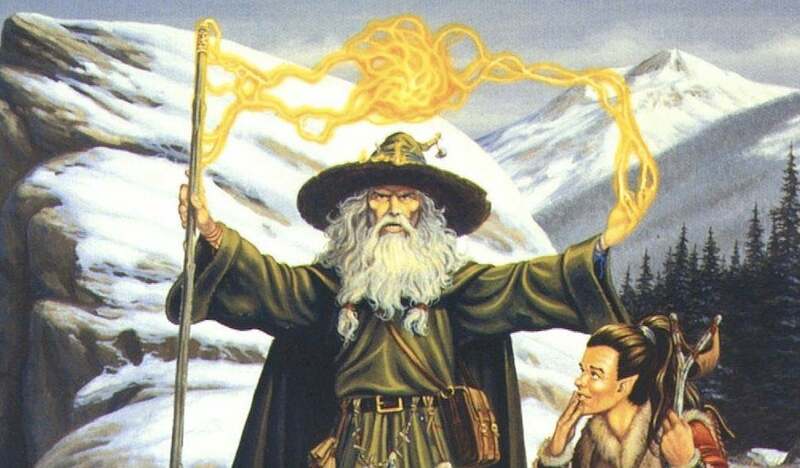 Wizards are the most powerful characters in Dungeons & Dragons, as the hundreds of spells available to Magic-Users, IIllusionists, Necromancers, Clerics, Druids, will attest. But for every Meteor Swarm, Time Stop and Resurrection there are a dozen spells that are utterly worthless. Here are 20 D&D spells almost no one has ever needed to cast. "Once this spell was cast the target could see clearly through blinding sunlight and heat shimmer. Reflected sunlight from a mirror had no effect on the target, and they were immune from being blinded by light spells." So, uh ... sunglasses, basically. In D&D, there's a reasonably useful skill called Blink, which allows wizards to basically pop briefly over to the Astral plane, gives them a chance to move around, effectively teleporting a short distance and confusing (or escaping) foes. Basket Trick is Blink except you don't get to choose where you move, but instead pop back into the physical in a random nearby basket. Not only is this a basket-specific teleport spell, you don't even get to pick the basket. Another insane variation of the teleportation spell, Bowgentle's specific version teleporting one being to a known location for a minute… and then immediately brought them back to their place of origin. It's the 60-second teleport. Now, you may be the thinking that this could be useful for sending a brief message to people if nothing else, but the distance for this spell was 18.29m, and had to be in visible eyesight of the wizard. You could run 18.29m and be back again in two minutes. Need to browbeat someone, but don't have the time to say actual words? Them cast Chastise (although you do have to cast the spell by saying words, so I'm not sure how much time it really saves). For bonus silliness, this spell only worked on people who offended the spellcaster, making it spectacularly situation-specific. A.k.a. the Aquaman special. Unless you were roleplaying in an underwater setting, which was not impossible but very unlikely, this spell is as useless as Aquaman himself. This made corpses glow. That's it. Perhaps it would be helpful in the dark, but it wouldn't be nearly as helpful as the simple Light spell, which didn't require a nearby dead person as a conduit. Even then, I'm trying to think of how often anyone would need to turn a corpse into a rotting nightlight, but I'm coming up empty. This spell transformed a small piece of wood into a 3m-long battle staff that wizards could wield. It sounds kind of useful... until you remember how long a 3m stick would be. For perspective, 3m is the length of the shortest possible pole vaulting pole. Now imagine trying to fight someone with a pole-vaulting pole, in a dungeon, where the length of the hallways are almost always exactly 3m (two five-foot squares) wide. Exactly as it says on the tin — it lets when your depth changes. About the only time I can think of that this spell would be more useful than just paying attention to your surrounding is when you're somehow in a submarine without a window, and I have yet to do this in a D&D game. If there are undead near enough you to be discovered by this spell, I guarantee they have already made their presence known. Got a corpse? Of course you do, you're playing Dungeons & Dragons. Need him to look like he's not a corpse? Then Disguise Undead is the spell for you. The only reason this spell would be worthwhile if it is was titled "Bernie's Adventurous Weekend." A spell that holds a door, gate or window shut as if it was locked. You know what also does? A lock. And unlike Hold Portal, a lock can actually hold your portal for more than a minute per level of the spell caster. In the mood for some entertainment? Then cast this, which as its title suggest forces its target to dance uncontrollably to the exclusion of all else. In terms of incapacitating an opponent, it's undeniably goofy, but it could be useful… until you learn it's an 8th level spell, at which point wizards are actually travelling through dimensions, creating giant clouds of fire, bending entire groups of monsters to his/her will, and driving people insane. Making someone do a little jig doesn't sound that useful now, does it? A spell that doesn't just cook a grand meal, but also cleans up the kitchen afterwards (kitchen not included). If you have ever play a session of D&D where you needed to clean up a kitchen, I feel very sorry for you. This Druid spell transforms a stick into a club or a quarterstaff, which is to say a stick that does slightly more damage than the original stick. If you're carrying a stick that you plan on turning into a staff at some point, just buy the stupid quarterstaff. One snowball. A single, solitary snowball, that at least hit its target no matter what. With snow. Somehow, this spell did damage to things other than fire creatures, but still, it's basically a very embarrassing version of Magic Missile. A spell that mainly cured hangovers and drug withdrawal symptoms. While this would be an unbelievably spell in real life, why would any D&D player choose to fill up a spell slot with this thing when telling the gamemaster "My character sleeps in for another couple of hours" would have the same effect? This is basically the same as a Confusion spell, but only for sailors. It makes an entire crew basically forget how to sail all at once. Like so many of these spells, why would you take the ludicrously specific version of an original spell? Why not have the option to confuse people on and off ships? Need your hands free? Then summon Tenser's Floating Disc, a medium-sized bowl of force that can carry loads for you while floating behind the caster. Or, you know, you could spend a couple of gold pieces and get a goddamned backpack. A spell that kept wizards from getting wet, even if they enter a body of water. For the life of me, I can't find any table that indicates there has ever been some kind of penalty for being wet in any edition of Dungeons & Dragons, meaning apparently this spell exists solely for the comfort of your imaginary character. A snowball spell would be significantly more useful. Some of these seem kind of useful in an actual roleplaying sense. 5) Converse with Sea Creatures - Would be useful if you want to have a chat to um, an aboleth or something. 9) Detect Undead - Would actually be useful if you're talking to someone you suspect might be a vampire. I wouldn't be surprised if that's the actual point. Detect Undead is HIGHLY HIGHLY useful, and has saved our party on more than one occasion. Yes, when you are faced with undead creatures that disguise themselves or are incorporeal and can lurk within walls, ceilings or floors then it can save your bacon. Yup, can see how the majority of these would work by adding character to a story or contributing to the kind of anecdotes people love to talk about when advertising RPGs. A lot of them. I have never played pen and paper rpgs but a lot of these look like rules some pedantic rule-lord invented to do something better explained by the DM rambling off some brief narrative. Spells are used as a reason things happen, rather than I decided you can't detect the Ghoul because he put on a wig. I understand that. Spells lke that serve a purpose. But a depth detecting spell sounds like something invented for a single campaign that could have easily been some amulet given by a quest giver. Some Dungeons are designed to trick you into going deeper, it could help there. Gradual falls are hard to detect. But yeah I'd never learn that spell. Gah. Megaloscope miscast message into the aethernet. Imagination is weak in this one I see. Lot's of those spells are being used in the campaigns I had played/DM'ed. - Tenser’s Floating Disc is my all time favorite for a wizard who wants to be a poser. Jump on it and travel with style and let the plebs walk. It's also handy if you want to move silently or you want to avoid activating traps. Btw this spell is *a must* if your wizard has a strength score of 05. - Shillelagh creates a *magical* weapon, even if that weapon is a crappy club, you could penetrate damage reduction modifiers and hit semi-corporeal creatures. It's also a +1 to hit, which is very important for low level characters who do not have access to magical weaponry. - Spendelard’s Chaser fits perfect for drug abusive players who want to temporary boost their stats. Crab a craft[alchemy] and knowledge[nature] and start looking for those boosted mushrooms,plants, herbs and roots. - Disguise Undead is perfect if you are an undead (you wouldn't want to be detected when heading into the cities), you are a necromancer or you have an intelligent undead cohort (obviously for evil parties). It's also a great tool for DMs who want to keep secret the identify of some villains. - Detect undead is a practical spell if you head into a necromancer's/evil cleric's lair, you could check for hidden undead, see them behind walls,doors and concealment or check those suspicious corpses before trying to loot them. Although it does almost the same job as detect evil it gives more information 'bout their strength and general type. - Otto’s Irresistible Dance might be goofy but has some very interesting futures. It's not being consider an offensive action (doesn't break oaths or certain protection spells), it's only a *Verbal* spell (can be cast when grabbed) and has no immediate save. - Waterbane could keep dangerous liquids away from you, including acid water. The rest of the spells are very situational but you could still find plenty of uses for them. I enjoy giving my players those kind of spells as hidden scrolls and wands so they could work around and use them to their advantage. It's a very rewarding process to manipulate items which on the surface look useless. I actually had a player use Disguise Undead to hide the fact that their bear mount was in fact an undead skeleton bear. Also a handy spell in case you need to try and pass off a murdered noble as an assassin and convince the guards that the party stopped a murder. Murderhobos can get very creative trying to hide their murderhobo-ing. Otto’s Irresistible Dance - My wizard, when we were epic level made a dragon dance uncontrollably with this spell. I then ran away while the rest of the party finished him off while he danced. Tenser’s Floating Disc - That same wizard had a toad familiar who floated around beside him on the disc. Shillelagh - A friend in the party when we were low level and many years before we hit epic level had a druid which used this every combat and he dished out some nice damage. Hold Portal - Chasing someone in a building and he is about to open and run through a door then just cast hold portal and you got him. There are probably more useful ones in the list but these are just the few that I have used or have seen used. I haven't played D&D for about 15 years but I can think of tons of uses for most of these spells. This is like saying "Ugh? Fireball? When would I need to throw fire when I can just use a torch to set things alight? And what if it misses? It wouldn't even damage anything! Also it's only really useful in combat, which is only like half the game, and far too situation specific, plus some enemies are fireproof." The problem with converting the feet to meters is D&D is based on a grid of 5ft squares. A lot of these spells are situational, but some of them being Cleric or Druid spells you take them when you need them and stop using them when you don't. Also if your only playing a hack and slash game, than yes the undead won't be subtle and you'll know their coming. If your playing against somebody using brains (I know I just said undead) than detect undead and disguise undead become very handy. The villian is a Lich, would he not disguise himself when he went to town for supplies? Low level utility spells such as Tensers floating Disc and Hold Portal need creativity to be useful. I know once we used them to stop people getting in, set a trap with the disc and dropped things on them when they got through the door. Not every spell is useful in every campaign, but they generally all have their place. It's kind of like somebody who doesn't play scrolled through a list of spells. I never played Fourth or Fifth edition and have moved to Pathfinder FYI. The crown jewels are locked safely on the other side of those thick metal bars. Locked in jail, keys are out of reach. Depositing magical grenades near your foes. Pulling the lever on the other side of the chasm to let the bridge down. Fancy treasure at the bottom of a cliff you couldn't easily climb out of. "I couldn't have caused the stage to collapse on him sir, I'm clearly out here in the crowd now." The spell could also be used offensively to 'temporarily' drop your enemies over pools of lava/spikes/etc. Lock the other guy in cell. *stage collapses* "hey look it's that well known figure standing looking confused in the rubble, oh no he's teleporting away! Quick, let's find and murderkill him him mob-friends!" "Dragon has a gold tooth, I'll teleport you over, then just chip it out and don't get eaten for a minute and we're all good!" Otto's dance is an awesome spell. Since I played d&d online, I have learned how crazy useful it is. Now I always put it on my list on my own and paper game. Another comment on Shillelagh - IIRC it also lets you use Wisdom as your attack and damage stat. Useful for the low level druid (or nature cleric), who no longer needs Strength to hit things. Detect and disguise undead are amongst the most helpful of spells around in villainous campaigns, especially if your playing as a necromancer. And as for detect undead that's basically like saying the listen skill is useless. No way. Oh look, another terrible list. Let me check and see who wrote this... OH LOOK, Rob Bricken. I'm having a heart attack from NOT SURPRISED. Shillelagh is very useful in the current version of D&D because it does increase the damage of a normal quarterstaff and allows it to damage creatures that could not be damaged by nonmagical weapons. Plus, it's a cantrip, so it can be cast for free. Tenser's Floating Disc carries a lot more weight than a backpack. They're essential for looting large amounts of coin if you don't have a bag of holding. Hold portal is awesome if you are fleeing and hey lets lock this door behind us because it will delay the monster enough for us to get back to the surface. The issue here is you're assuming you're playing DnD to get the best stats and power ups and the most powerful spells. See, these spells are mostly for *roleplaying* purposes. Evidently you've never actually done it tho.